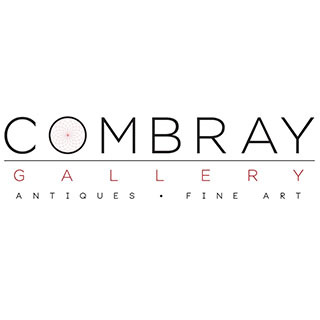 About Combray Gallery: Combray Gallery deals in European continental antique furniture and decorative arts and 20th Century design with concentration on Swedish neo-classicism including Grace and Modernist periods; Austrian & German Biedermeier period and French Art Deco & Art Moderne. Pair of doors enclosing three shelves with curvaceous front edges and two bottom drawers with original leather strap pulls. Corresponding curvaceous base. In pine, sponge painted in sea blue, Venetian red and white wash. Beautiful (later) 19th Century brass escutcheon, original brass round pull and key.